Currently “Tactics of Waste, Dirt and Discard in the Occupy Movement” is published as a forthcoming article in Social Movement Studies: Journal of Social, Cultural and Political Protest, but will soon be part of a special issue on the Occupy movement. From August until September, the special issue will have free and open access. When that open access ends, I will post an expanded version of the article on this blog with a full photographic archive. Both Occupiers and our opponents have used waste and discards—figuratively and literally—in strategies to create and cultivate a new social movement on one hand, and to maintain power and control over protesters on the other. This study will look at the roles trash, waste, filth and discards have played in tactical decisions by both sides of the movement from the point of view of a New York City Occupier. Overall, the examples examined of trash, filth, discards and their attendant transgressions make up an ongoing political debate about the ideal society by both Occupiers and its opposition. These are the terms over which contests about what counts as tolerable and intolerable conditions, right and wrong, citizenship and the Other, acceptable and unacceptable behavior and what constitutes ‘out of placeness’ have been waged. Liboiron, Max. (2012). 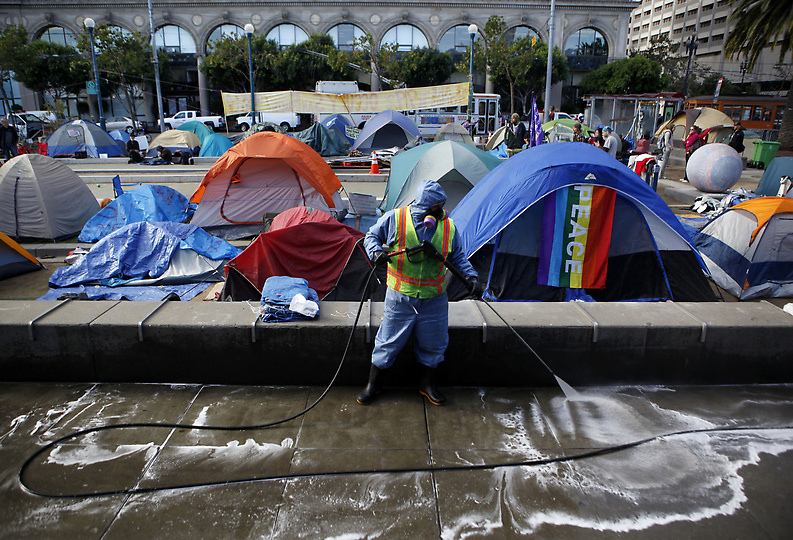 “Tactics of Waste, Dirt and Discard in the Occupy Movement,” Social Movement Studies: Journal of Social, Cultural and Political Protest, Routledge. This entry was posted in Activism, Government, Justice (EJ), Labor, Sanitation, Urban, World. Bookmark the permalink.